Krystal Star Link, 31, died peacefully in her home on December 28, 2017 after a long battle with a rare stomach cancer. She was born on July 3, 1986 in Corpus Christi, Texas to Alice Bussey and David Valdez. She had a happy childhood growing up in Texas, which was often spent playing (highly competitive) Monopoly and Mexican bingo with her family. She graduated from Foy H. Moody High School in 2004. Krystal was voted most beautiful and one of the top cheerleaders at her high school. Always an excellent student, Krystal earned a highly selective Gates scholarship allowing her to attend the University of her choice. She chose Kansas State University and it was there she met her future husband, Lance. Though they were both business majors, they didn’t have any classes together, but always seemed to run into each other at Calvin Hall. On her 23rd birthday, Lance proposed underneath the fireworks surrounded by family and friends. She later called it the “best birthday present ever.” They wed in Concordia on October 9, 2010. 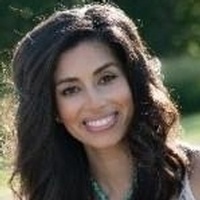 Krystal earned a Bachelor’s degree in finance and a Master’s degree in curriculum and instruction both from Kansas State University. She was an Information Technology Instructor at the North Central Kansas Technical College in Beloit where she recently earned the 212 Award. She loved teaching in no small part due to her coworkers who eventually became good friends. While she was a successful college instructor, her best lessons were saved for her sons Parson, 4 and Chase, 1. She spent many hours teaching Parson his numbers and letters and playing patty-cake with Chase. She also loved decorating cookies with the boys and taking them to see their dad work on the farm. The whole family loved flying in Lance’s plane, especially those trips to Texas to see family. A former gymnast herself, Krystal also enjoyed helping out at the Concordia Gymnastics Center in her spare time. She was also a member of Our Lady of Perpetual Help Catholic Church. Krystal is survived by her husband, Lance; sons, Parson and Chase, Concordia; mother and step-father, Alice and Will Bussey; father and stepmother, David and Alicia Valdez, all of Corpus Christi, TX; brother John David (Yvonne) Valdez; niece, Kyleigh; nephew John Derrick, all of Houma, LA; sister, Alexis Valdez, Austin, TX; grandmother, Romona Valdez, Corpus Christ, TX; Lydia DeAnda, Corpus Christ, TX; father and mother in law, Jerry and Deanna Link, Delphos, KS; sister in law, Amy Link, Hollywood, CA; brother in law Justin (Lori) Stahlman; nephew, Cole; niece Aubrey, all of Concordia; grandmother, Dolores Deneault, Concordia; grandfather, Vincent Link, Aurora; and many more family and friends. Mass of Christian Burial will be held 10:00 a.m., Wednesday, January 3, 2018 at Our Lady of Perpetual Help Catholic Church, Concordia, with Fr. David Metz officiating. Visitation will be Tuesday, January 2, 2017 from 1-9 p.m. at Chaput-Buoy Funeral Home, Concordia, with a Vigil Service at 6 p.m. Family will greet friends and family after the Vigil Service. In lieu of flowers, the family suggests memorial contributions to Our Lady of Perpetual Help Catholic Church in care of the funeral home.